Tech titans donate $50M+ in stock to one nonprofit. Here’s what I think it means for the rest of us. Elite entrepreneurs — largely from the “unicorn” companies valued at $1B or more — have pledged at least 1% of their equity to charity: water, a nonprofit bringing clean and safe drinking water people in low-income countries. These donated shares have an unusual restriction: When these companies are sold or go public with an IPO, the entrepreneurs will pay out a portion of their stock to charity: water, 80% of which will fund salaries and office rent, and 20% will pay bonuses to charity: water staff. One of the founding members called it “an exploration into the future of philanthropy.” Others see it as a controversy over whether the employees of a nonprofit should benefit. Darren Walker, the president of the Ford Foundation, says “It’s very strategic to structure gifts this way, but the issue of enriching employees of the charity is potentially problematic.” He would be familiar with the critics, as a foundation leader who earns more than a million dollars annually. I agree with Mr. Walker: There are a few good reasons why this giving plan is strategic. And before I dive into where I see the problematic issues, I want to clarify that enriching employees, based on their performance results, is not one of them. So there are three areas I’d like to see discussed further, by not only the nonprofit and funders piloting this model, but by all of us who want to be effective philanthropists, at any level. First, I question the recruitment message behind this strategy. In the Times article, charity: water’s CEO talks about his effort to recruit people who would otherwise take jobs at Facebook, Google, and Amazon. “How do we compete with massages and Michelin stars,” he asks, alluding to the insane perks that these companies offer, including free food every day. These perks are enviable on a surface level, but my answer is: nonprofits compete by having a strong mission, flexible work culture, and fair compensation. It’s time we stop seeing for-profit talent as the ultimate coup. There is brilliant and underestimated talent in the nonprofit industry, where we have learned how to turn measly resources into formidable change. In the new book Giving Done Right, Phil Buchanan, CEO of the Center for Effective Philanthropy, argues that nonprofit leaders are often unsung heroes, “balancing a range of responsibilities that can make a corporate CEO’s job feel like a walk in the park.” We need to focus on cultivating and retaining this type of talent, not attracting tech employees…>read more. Cambridge, MA — A new report released today by the Center for Effective Philanthropy (CEP) profiles five foundations’ efforts to develop understanding of their beneficiaries’ needs and incorporate that understanding into their work. The report, titled Staying Connected: How Five Foundations Understand Those They Seek to Help, includes interviews with foundations rated highly by their grantees for their understanding of their beneficiaries’ needs. These foundations have a range of focus areas, from students to children and adults in need of affordable health care. The five foundations profiled in the report are: Nord Family Foundation in Amherst, OH; Helios Education Foundation in Phoenix, AZ; the Duke Endowment in Charlotte, NC; the Harry and Jeanette Weinberg Foundation in Owing Mills, MD; and SC Ministry Foundation in Cincinnati, OH. Cambridge, MA — The Center for Effective Philanthropy (CEP) has elected Oak Foundation President Kathleen Cravero and former Hawai’i Community Foundation President and CEO Kelvin Taketa to join its Board of Directors. Both will begin serving three-year terms beginning January 1, 2018. Cravero has served as president of Oak Foundation, based in Geneva, Switzerland, since 2009, where she leads the foundation’s work addressing issues of global, social, and environmental concern, particularly those that have an impact on the lives of the disadvantaged. Prior to joining the foundation, Cravero worked in international development for more than two decades in roles at UNICEF, the World Health Organization, and the United Nations, including as part of the Joint UN Programme on HIV/AIDS (UNAIDS) and the United Nations Development Programme (UNDP). Advancing gender equality has been a focus of her work, and her past positions have included stations in Burundi, Uganda, and Chad. Cravero holds a Ph.D. in political science from Fordham University and a masters in public health from Columbia University. Cambridge, MA — Relationships between foundation funders and their nonprofit grantees are crucial because the two must work well together if they are to achieve shared goals. New research released today from the Center for Effective Philanthropy (CEP) finds that, in the eyes of nonprofits, the most powerful ways that funders can strengthen those relationships are to: 1) focus on understanding grantee organizations and the context in which they work; and 2) be transparent with grantees. 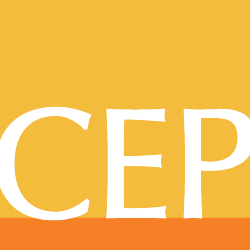 Cambridge, MA — New research released today from the Center for Effective Philanthropy (CEP) provides a comprehensive collection of benchmarking data on foundation program officers. The report, titled Benchmarking Program Officer Roles and Responsibilities, includes data on topics ranging from the backgrounds of program officers, to technical information about the structure of the program officer role, to program officers’ perspectives on certain aspects of their work, such as the funder-grantee dynamic. Findings in the report are based on survey responses from 150 randomly selected program officers at foundations that give at least $5 million annually. “We know that program officers greatly shape the experiences that grantees have with foundations, but there has been a shortage of research in the field looking deeply into the intricacies of the role,” said Jennifer Glickman, research manager at CEP. “Our hope is that this data will provide insight into program officers’ vast set of responsibilities.”…>read more. Cambridge, MA — The reactions and responses of U.S. foundations to the recent shift in national political context vary widely, reveals a new study released today by the Center for Effective Philanthropy (CEP). Based on survey responses from 162 CEOs of independent and community foundations in the U.S. giving at least $5 million annually, Shifting Winds: Foundations Respond to a New Political Context finds that 48 percent of respondents believe the change in presidential administration will have a negative effect on their ability to achieve their goals, while about a quarter say they anticipate a mix of positive and negative effects, and 17 percent say it is too soon to tell. CEP President Phil Buchanan shared findings from the study earlier this month at the 2017 CEP Conference in Boston, video of which is available here. The survey, which was fielded between February 21 and March 10, also asked foundation leaders about the extent to which they are making changes in their goals, strategies, grantmaking budgets, and practices. Overall, almost three-quarters of foundations responding to the survey report making, or planning to make, some change in their work. Additionally, about two-thirds of CEOs report planning to increase their emphasis on at least one practice as a result of last year’s election. The most frequently cited areas for increased emphasis are collaborating with other funders, advocacy/public policy at the state and/or local level, and convening grantees…>read more. Cambridge, MA — Limited life foundations, which choose to spend themselves out of existence because of the belief that it will lead to greater impact, grapple with a similar set of issues in their journey to spending down. But there is great diversity in the decisions leaders of limited life foundations make about how to address these issues, finds new research released today by the Center for Effective Philanthropy (CEP). Based on interviews with leaders of 11 spend-down foundations, the report, titled A Date Certain: Lessons from Limited Life Foundations, explores the approaches of spend-down foundations in nine key areas, including investing, grantmaking and strategy, and communications. “When we began this research, we expected that most of these foundations would take a similar path to spending down,” said Ellie Buteau, vice president, research, at CEP and co-author of the report. “But from what we heard, we learned that there is no one way to spend down. Our hope is that this research will help foundations that are spending down — or those that are considering spending down — explore a range of approaches as they consider their own planning and strategies.”…>read more. Cambridge, MA – The Center for Effective Philanthropy (CEP) has elected Wilburforce Foundation Executive Director Paul Beaudet to join its Board of Directors. Beaudet has been with Wilburforce Foundation, a Seattle, WA-based foundation that supports land, water, and wildlife conservation efforts in western North America, since 1999. He originally joined the Foundation as program officer for evaluation and served as its associate director from 2002 to 2016. He assumed the office of executive director on January 1, 2017, where he leads the Foundation’s program teams that invest in science, conservation policy, and community engagement, as well as manages the Foundation’s capacity-building program and invests in grantee organizations and leaders to better plan, manage, and sustain their work. He has served on CEP’s Advisory Board since 2008. “I am thrilled that Paul Beaudet is joining the CEP Board of Directors after years of thoughtful service on our Advisory Board,” said CEP President Phil Buchanan. “Wilburforce has been an exemplar in its approach to strategy as well as in its relationships with its grantees, as measured by CEP’s Grantee Perception Report (GPR), which the Foundation has consistently made public. We have consistently pointed to the Foundation as an example from which others can learn.”…>read more. San Francisco, CA – YouthTruth Student Survey announced today that it crossed the threshold of surveying half a million students across 36 states and four countries. The San Francisco-based organization — which is the only major student and stakeholder survey partner that is an independent nonprofit — works with schools, districts, CMOs, and education funders to gather feedback from students, parents/guardians, and school staff on the topics that research shows matter most to student achievement and positive school climate. With eight years of experience gathering robust student perception data, YouthTruth has learned directly from students about their experiences across a range of topics including academic rigor, college and career readiness, bullying, and school culture. YouthTruth regularly releases findings from their aggregate dataset to help education leaders and funders more deeply understand students’ experiences…>read more.